This summer, many government agencies opened opportunities for youth to take part in their internship opportunities. Today, Pag-Ibig opened opportunities for youth. The youth program called Government Internship Program (GIP) is meant to give Filipino youth paid-work experience in government agencies. The Government Internship Program could help provide youth with job experience and help match their skills with the job. One of the challenges of many graduates is finding a job because job experience is a basic requirement to most jobs. With internship program, they can showcase their internship as job experience. Last month it was DTI that opened opportunities for youth to work under internship from the month of April to June. 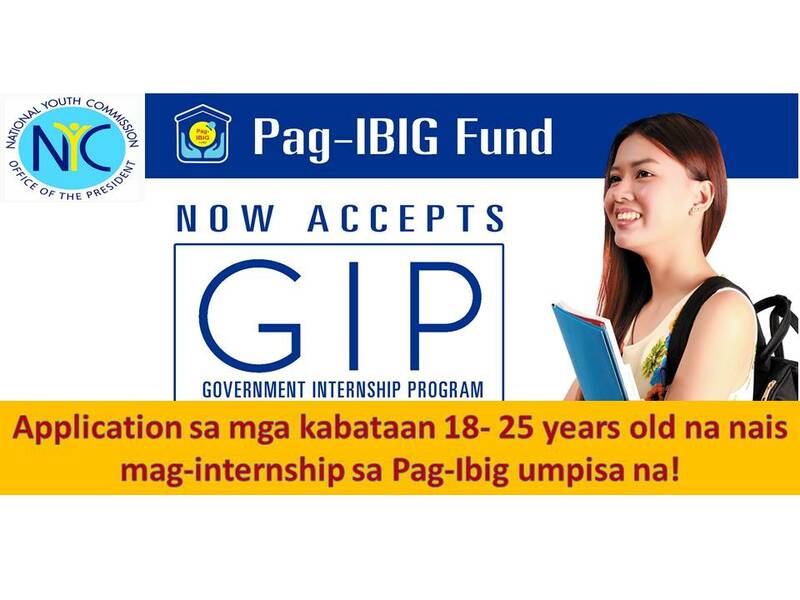 This month, Pag-Ibig opened its doors to youth who would like to work in their agency. not a beneficiary of any NYC program or other GIP implementing program. With a minimum general average of 85% during the last semester/calendar. address: 18/F Petron Mega Plaza Bldg.